(Nanowerk News) Hailing a taxi in New York City just got a little bit easier. A new smartphone application called ZabKab launched earlier this week that allows users to hail a yellow taxicab using their smartphone. Basically, the app allows users to broadcast their GPS location to taxi drivers who are also using the application. One tap of the hail button and taxicab drivers instantly see where you are so they can come straight to you. ZabKab gives you the power to be seen by more drivers in your area. 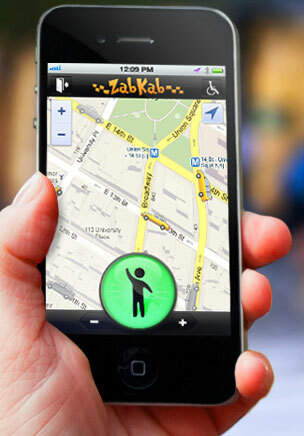 Use ZabKab to increase your visibility, anywhere, day or night. You can tell drivers how many people are in your party, or if you require a wheelchair accessible vehicle. Use ZabKab in your preferred language. ZabKab Driver is available worldwide.